Has anyone commented on how slim your face looks after losing weight with phentermine? The face is usually one of the first places people notice changes in weight, as well as the area most on-display to friends and family. That makes how to lose weight in your face a major focus of many dieters! In response, companies have developed facial exercise programs, makeup techniques and thousands of beauty products to help make it look like you’re losing weight in your face. Still, the only way to really lose weight in your face is as a part of all-over weight loss. Nonetheless, here we’ll give you five easy techniques to make your face look thinner and younger in a matter of days! Regardless of your natural face shape, weight gain makes your face rounder while weight loss makes it slimmer. Genetics, shape & size of facial structures (e.g. salivary glands) and age also affect face shape. When your weight changes, fat cells expand or contract to accommodate the extra weight. However, the actual number of fat cells doesn’t change. This explains why most people have certain areas of the body where they store any extra weight or fat, regardless of when or how they gain weight. Similarly, the amount of skin surrounding the cells remains constant. Like internal fat cells, the skin cells also expand to accommodate the greater volume. When we’re young, our skin is more elastic. As we age, however, we produce less collagen and elastin – the two main proteins in skin tissue. Due to the decreased availability of these components, older people’s skin is less elastic. While younger individuals’ skin can easily adapt to fluctuations in weight, older persons are more likely to experience sagging or loose skin. Thankfully, healthy lifestyle choices can minimize the effects of skin aging. To protect your face, and skin in general, make an effort to eat healthy, stay active, avoid alcohol and smoking, and always use sun protection. These little changes can make a big difference in keeping your skin elastic so that you keep looking young and healthy for years to come – even after major weight loss! Just like any other body part, the best way to lose weight in your face is through whole-body weight loss. Phentermine helps you eat less and move more to achieve your weight loss goals faster, but it’s ultimately up to you to implement the healthy habits. If you’re hoping for a quick fix for how to lose weight in your face, however, there is some good news: staying hydrated, avoiding some foods and incorporating certain activities can help make your face look slimmer! As you already know, incorporating regular physical activity into your lifestyle increases metabolic rate and encourages weight loss. The current US Physical Activity Guidelines for Adults suggest 150 minutes of moderate physical activity per week, or 30 minutes on most days. If your workout is vigorous this quantity falls to just 75 minutes per week (25 minutes 3x per week), but many experts recommend up to 60 minutes per day for weight loss. Exercise burns calories, build muscle, and helps prevent chronic diseases like high blood pressure and type 2 diabetes. Blood flow is also critical to weight loss, of its own accord. Oxygen is carried to the skin via the bloodstream, just as waste products are carried away through that same system. By promoting consistent, healthy circulation you provide the cells with what they need and eliminate what they don’t! This helps keep your skin looking and feeling young. Cardiovascular exercises that raise your heart rate – like walking, cycling, running, rowing or dancing – promote better circulation. It may seem counter-intuitive, but not drinking enough water can cause or worsen bloating and puffiness. This is because when you get dehydrated your body hold onto liquid wherever it can, including in your face. To avoid unwanted facial puffiness, make sure you stay hydrated this summer! A typical adult should aim for at least 8-10 glasses of water per day. However, if you’re active or spending a lot of time in the heat your needs increase. This summer, remember the 70/70 rule: if it’s warmer than 70°F and higher than 70% humidity, you’re at an increased risk for dehydration. When you’re out in hot, humid weather, make sure to sip on water (or another calorie-free, caffeine-free beverage) throughout the day and seek shade when you can! Drinking water also helps avoid and cope with dry mouth – a common side effect of phentermine weight loss pills. Sipping on water, sucking on mints, chewing gum and eating foods with a high water content (like watermelon) can also help cope with dry mouth from phentermine. Eating or drinking certain foods can make the face look more puffy, so taking these foods out of your diet may help you lose weight in your face (or at least make it look slimmer)! One of the easiest ways to lose weight in your face quickly is to reduce water retention. When you eat too much salt, your body retains extra water to dilute the sodium. This can make you feel bloated, and sometimes makes your face look puffier. Current CDC guidelines recommend no more than 2300mg of sodium per day for the general adult population, and no more than 1500mg of sodium for people in higher-risk groups (e.g. older adults over 50). Nearly everyone benefits from eating less salt, but this dietary change is especially beneficial in the treatment and prevention of high blood pressure. To reduce salt intake, clean out your pantry to minimize your access to processed foods and swap-out salty seasonings & sauces for herbs or spices. You should avoid alcohol while taking phentermine. The two substances can interact to produce dangerous side effects, and losing weight in your face is just another reason to steer clear of booze this summer. Drinking too much alcohol dehydrates you, which leads to more water retention and a rounder-looking face. Instead of alcohol, quench your thirst and celebrate with infused water or unsweetened decaf tea! It doesn’t have quite the same fame as salt, but excessive dietary sugar also causes water retention. Plus, added sugars contribute very little nutritional value alongside the extra calories. So, not only does eating too much sugar make your face rounder now, it also hampers your continuing efforts to lose weight overall! Experts generally recommend that no more than about 5% of your daily calories come from sweets. This means that if you’re eating 1800 calories per day, only about 90 of those calories should come from added sugars. If you’re craving a sweet treat, go for a piece of fruit or a small piece of dark chocolate. Last but not least, allergies and intolerances cause bloating, which often shows in the face. If you’re sensitive to a common allergen, like dairy or wheat, eating this food may make your face rounder. In fact, people with digestive issues like gluten intolerance or IBS often complain of a “fuller” looking face. If you’re not aware of any allergies and your round face is accompanied by digestive distress, skin irritation, allergic reaction or any other worrisome symptoms, talk to your doctor right away. While most causes of facial puffiness are not serious, this common symptom may also be indicative of a more serious medical problem. Hormonal fluctuations can cause your body to retain water, which often makes your face look fuller and puffier. These changes may occur around your time of the month, in pregnancy or when you’re especially stressed. Most women retain fluid right before and during their period due to increased circulation of progesterone and other hormones. It’s normal to weigh a little more or notice your face getting rounder at this time of the month, but don’t worry: everything should return to normal after your hormones stop surging! Some experts recommend facial exercises, or even facial yoga, to tone and tighten muscles in the face. These movements are said to help you lose weight in the face, minimize signs of aging and reduce wrinkles. Proponents of this method say that the exercises, which should be performed most days of the week, increase blood flow to the face and promote collagen production. This helps keep your skin healthy and younger looking while you’re losing weight in your face. You can see a big difference when someone loses weight a lot of weight, and one of the first changes people typically notice is a much more slim and angular face. Looking for a little inspiration to lose weight in your face? Check out these before and after weight loss pictures! Alexandra lost 55 pounds with phentermine. You can definitely see the difference in her face, as well as her body! Read Alexandra’s full story HERE. Brittney lost 67 pounds with phentermine. She looks absolutely great and the weight loss in her face makes her look so much younger! Read Brittney’s full story HERE. 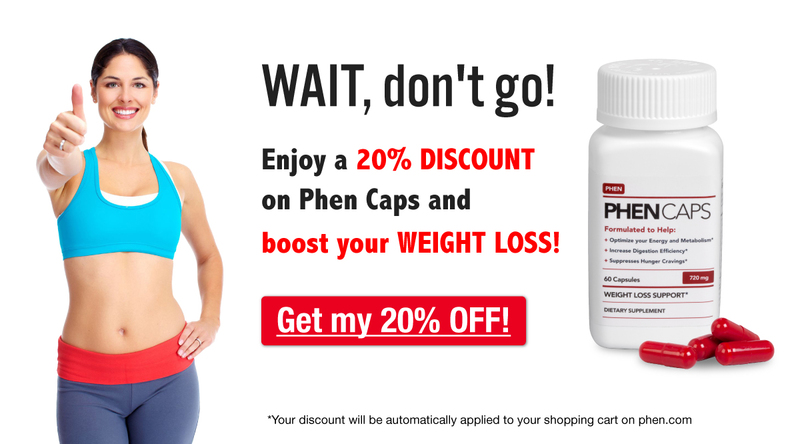 Jerry lost 27 pounds with Phen Caps! The supplement helped him stop snacking and gave him the energy to get back into biking and cycling. He’s still losing and loves when people comment on his slimmer face! Read Jerry’s full story HERE. What do you think? Are you worried about how to losing weight in your face, or how weight loss affects your face? Share your thoughts with us in the comments section below!